CLEVELAND — Collin Sexton had to watch and learn how to become the kind of go-to player the Cleveland Cavaliers could rely on to make key baskets and set up teammates in pressure-packed situations late in the fourth quarter of games. But that on-the-job training has paid off, as Sexton has hit shots and set up teammates for baskets down the stretch of the last two games, wins over the NBA’s best team, the Milwaukee Bucks, and a fellow Eastern Conference playoff squad, the Detroit Pistons. “He’s taking steps in the right direction,” center Tristan Thompson said following Wednesday’s 107-102 win over the Bucks. “Obviously, he’s put up the scoring numbers. He’s taking the three-ball now. 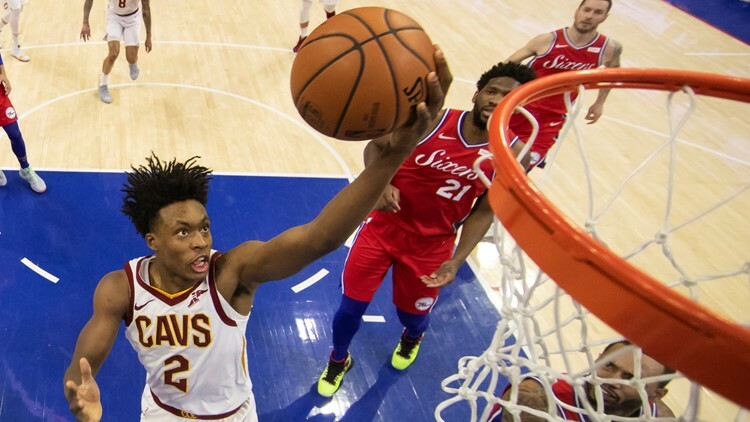 After some early-season struggles, rookie point guard Collin Sexton is becoming the consistent scorer the Cleveland Cavaliers need him to be. During the win over the Bucks, Sexton converted 10 of his 18 shots from the field, including a four-for-seven showing from three-point range, on the way to a team-best 25 points to go along with three assists and two rebounds in 35 minutes. Sexton’s success against the Bucks marked the sixth time in the last seven games in which he knocked down at least 10 shots and fifth time that he converted at least four three-point attempts. “Because we had all of the injuries, it’s about getting our young guys better,” Thompson said. “It’s about Collin being better, and he took steps in the right direction. It’s about Cedi being better, Big Z (Ante Zizic) being better, and that’s what we’re seeing these last 20 games. That’s what we want. That’s what you want from a franchise, so I’m happy with the development of our young guys. In the 14 games since the All-Star Game break last month, Sexton has increased his made field goals, shooting percentage, three-point percentage, steals and points while cutting down on fouls and maintained 2.9 assists-per-game average. Sexton has converted 47.9 percent of his field goal attempts and knocked down 46.8 percent of his three-point tries over an average of 33.7 minutes per game.